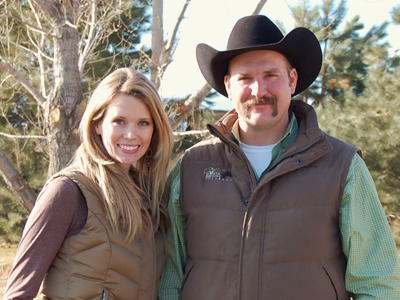 Vista Equine Colorado, LLC was established in 2011 by partners Jake Dahl and Stephanie Webb. The pair took over the operations of Royal Vista Equine, Inc. that operated for Vaughn and Jill Cook for the last 20 years. After successfully establishing several breeding farms in Colorado and Oklahoma the Cook’s decided it was time to retire and wanted to spend more time enjoying their racehorses and attending horse shows with their two young daughters. It was only natural to turn the reins over to the team that had been managing the day-to-day operations for the last several years! Vista Equine specializes in what its history is deeply rooted in – equine reproduction. The heart of the operation is Vista Equine’s nationally recognized Embryo Transfer Program. We pride ourselves on the superior quality of our recipient mares, our above industry standard pregnancy rates, and outstanding customer service. - Training Preparation for Non-Sale Yearlings. For race and show horses prior to placement with trainers as 2-year-olds. Vista Equine Colorado, LLC is dedicated to providing superior equine reproduction services and helping our clients achieve their goals. Please contact us for additional information on any of our services.